Assistant. The Communications Assistant is directly supervised by the Communications Director and primarily supports the Communications Director and department staff. The ACLU of Washington is a leader among state affiliates of the American Civil Liberties Union, the country’s premier guardian of liberty. We work in courts, legislatures, and communities to protect and extend American rights to freedom, fairness and equality. The ACLU is both nonprofit and nonpartisan. 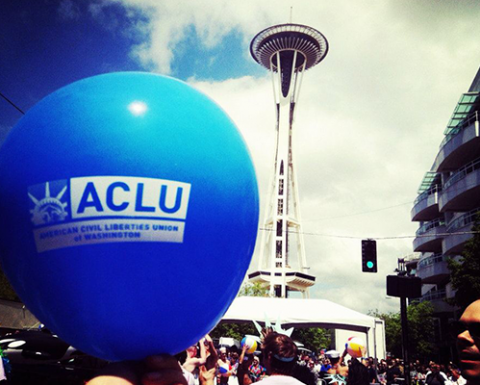 The ACLU-WA’s staff of 40+ employees and numerous volunteers works in a fast-paced, friendly and professional office in downtown Seattle. We are supported by more than 80,000 members, activists, and donors. Provide administrative support to the Communications Department’s staff members. With attention to detail and professionalism, draft, produce, format, and proof-read emails, letters, online postings, publications, and other materials. Arrange meetings, take notes, prepare background materials, and handle follow-up actions. Produce audience, media, and issue research briefs for communications staff. Communicate confidently and respectfully with representatives of the press, ACLU leaders, vendors, and allies. Manage the communications volunteer database. Assist in volunteer recruitment, education, and supervision. Manage the ACLU e-mail list and listserv databases. Add and remove users and keep contact databases up-to-date. Using online databases, assist in media monitoring and research. Assist the public relations team with ACLU events. Coordinate with vendors, assist with event set-up and break-down, and assist with volunteer recruitment and management. Limited evening and weekend work is required. Other duties as needed. Help facilitate the smooth running of the office. Prior administrative experience, preferably related to non-profits and communications. Suite, including Excel, and the Internet; strong writing and online research skills. through with a minimum of direct supervision. volunteers, allies and other outside callers. A confident and professional presentation. Ability to supervise volunteers and work cooperatively with others. externally in the communities that we serve. responsibilities and qualifications required. It does not represent a contract of employment. advance notice. This position is “non-exempt” under the Fair Labor Standards Act.